Whether it is an expensive painting, a delicate sculpture, a piece of antique furniture, a valuable musical instrument, or a large collection of art, you want only the best and most secure fine art storage in NYC. 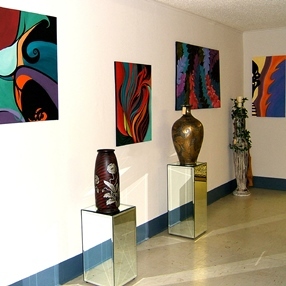 The only problem is that art storage services can be pretty expensive, so it is no wonder that you are looking for the most affordable option to meet your budget. At Fine Art Shippers, we can help you with that! After all, we not only ship fine art for our clients but also offer a whole range of other important services, including affordable fine art storage in NYC. Fine Art Shippers is a reliable art logistics company aimed at providing the highest quality service at a reasonable price. For today, we ship art and antiques all over the United States and worldwide, serving many prominent artists, reputable galleries, international auction houses, professional art dealers, private collectors, and all those who need a trustworthy partner to transport their treasures safely and securely. However, this all would not be possible without our ability to offer only the best and most affordable options for fine art storage in NYC, London, Hong Kong, and other cities around the globe. This is especially important when transporting a traveling exhibition or a collection of artworks with several stops on the way. In such a case, we take care of every single step of the art transportation process to ensure that our clients get only the highest quality services while staying within the set budget limits. It is also worth noting that our art storage services are diverse and include not only various options for temporary fine art storage in NYC or elsewhere. At Fine Art Shippers, we also offer affordable long-term art storage options for any need. So, whatever your reason to look for a secure, climate-controlled warehouse to store your art and antiques, we can help you with that too! Plus, we offer comprehensive art packing and crating services to ensure that every piece is properly protected while in storage. If you have any questions regarding our services or simply want to know more about fine art storage in NYC, please do not hesitate to contact Fine Art Shippers! Besides, let us remind you that we offer free shipping quotes, so if you want to know the cost of your shipment, we will provide you with an accurate estimate quickly and efficiently!